Lane Hunter’s victims and their families become outraged when she is released from prison. Bell, although responsible for posting Lane’s bail and getting her released, continues to be tortured by her manipulation. 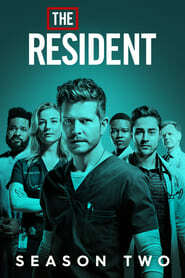 Meanwhile, Conrad uses work to cope with the news about his father, and he teams up with Mina, Kit and the Raptor to treat a patient who is suffering as a result of Lane’s dangerous treatments. Then, Devon grows worried when he doesn’t hear from Julian, and Nic sets her sights on a primary physician for their new clinic.